Hillsborough match commander David Duckenfield, former chief constable Sir Norman Bettison and four other individuals have been charged with offences relating to the Hillsborough disaster, the Crown Prosecution Service has said. Sue Hemming, head of the special crime and counter-terrorism division, said Duckenfield has been charged with the manslaughter by gross negligence of 95 of the 96 Liverpool FC fans who died at the FA Cup semi-final in 1989 and Bettison is accused of four counts of misconduct in public office. Former South Yorkshire Police officers Donald Denton and Alan Foster, as well as force solicitor Peter Metcalf, are charged with doing acts with intent to pervert the course of justice, and former Sheffield Wednesday secretary Graham Mackrell is charged with three offences relating to health and safety and safety at sports grounds. Hemming said a further file from the Independent Police Complaints Commission (IPCC) on the conduct of West Midlands Police still needs “additional investigative work”. She added: “Additionally, just this week, the IPCC has referred two further suspects which are unconnected to the matters sent to us in January; these subjects are subject to ongoing consideration by the CPS. We will announce our decisions in due course. “The suspects referred to the CPS included individuals and organisations. All the defendants, except Duckenfield, will appear at Warrington Magistrates’ Court on August 9. Duckenfield was not at home at his bungalow in Ferndown, Dorset, when the charges were announced. Barry Devonside, whose son Christopher, 18, was killed in the disaster, pumped his fist as he emerged from the meeting with the lawyers and other relatives of the 96. A spokesman for Wednesday said the club had no comment to make. Current South Yorkshire Police Chief Constable Stephen Watson said: “Decisions concerning the bringing of criminal charges are rightly for the CPS. “Given that criminal proceedings are now active, it would be inappropriate for me to comment further for fear of jeopardising this important process in any way. 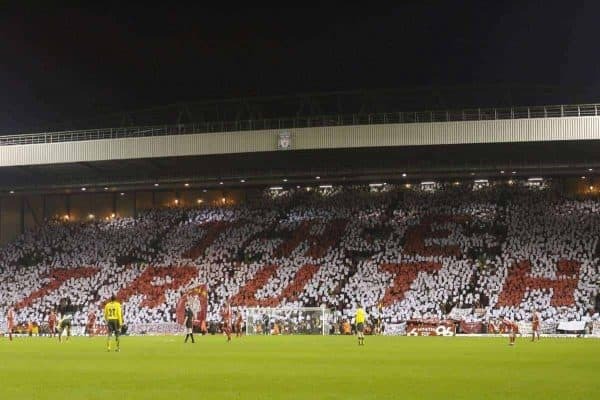 “In all of this however, our thoughts are with the Hillsborough families as we reflect on the appalling tragedy that is Hillsborough with the loss of so many innocent lives”. Assistant Commissioner Rob Beckley, in charge of Operation Resolve, said the decision to prosecute came “after the most detailed and substantial investigation there has ever been into the Hillsborough disaster”. He said: “Our inquiry looked at all aspects of the event, including the planning and the preparation for the game, the safety of the stadium and the response by the emergency services. “Our inquiry has seen over 17,000 lines of inquiry and we have taken statements off over 11,000 people, from police officers, spectators, emergency personnel and officials from different organisations. “From our inquiries we referred 12 individuals and three organisations to the CPS for them to consider whether any of these 15 should face criminal action. It was important to us that the CPS were an arbiter of our investigation, applying independent judgment in relation to possible offences. “Operation Resolve will now continue to work with the Crown Prosecution Service and counsel as the case moves on to the next stage and we prepare for legal proceedings. “Our work under the Police Reform Act and the allegations of police misconduct remains ongoing and, whilst the criminal prosecutions are foremost in our mind, the publishing of these reports is a very important task for us as they provide a detailed account of the actions of the police on the day. IPCC deputy chairman Rachel Cerfontyne said: “The CPS has announced charging decisions on six of the eight suspects formally referred by the IPCC in January this year. We have also referred a further two individuals. “We will be working closely with the CPS on the prosecution case and will provide any further assistance necessary while decisions on the remaining IPCC files are under consideration. Prime Minister Theresa May welcomed the decision by the CPS and praised the “absolutely exemplary” campaign by the Hillsborough families and others. At Prime Minister’s Questions, Labour leader Jeremy Corbyn said: “This prosecution, the inquiry and this development only happened because of the incredible work done by the Hillsborough Justice Campaign, Andy Burnham, Steve Rotheram and other colleagues around this House.